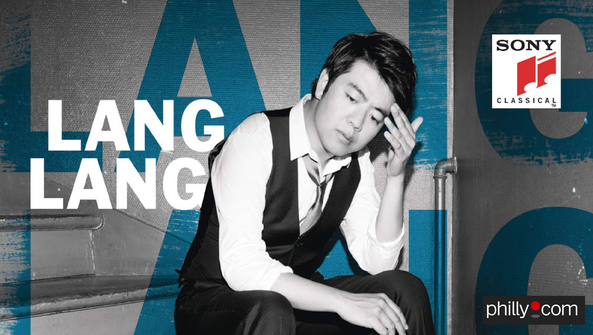 Lang Lang, seriously. His new Sony Classical disc, New York Rhapsody, might look like some cheesy crossover album - until you read his introductory note and realize this Chinese pianist grasps New York City's worldwide artistic significance better than the natives. The centerpiece of the disc is a fun, breezy, hugely inventive arrangement of Gershwin's "Rhapsody in Blue" for two pianos, featuring Herbie Hancock. But the rest is hardly feel-good, "ain't New York great" stuff. A conflation of Bernstein's "Somewhere" and some hard-hitting lyrics by Lou Reed about child abuse is only one cut that explores the city's seedier side. Madeleine Peyroux works her usual magic with "Moon River," and Aaron Copland makes cameo appearances. The disc isn't performed by Lang Lang so much as it's curated by him: He often stays out of the way. Even his hair is subdued.